Schlosspost: The »Web Residencies« program was initiated by Akademie Schloss Solitude in 2016 to support young talents from the international digital scene as well as artists of all disciplines who deal with web-based practices to present the process and results of their work online on Schlosspost. How did you come up with this idea? Jean-Baptiste Joly: Akademie Schloss Solitude has always tried to adapt its program following the changes in the practice of artists from the younger generation. This question stood almost 20 years ago at the center of a conference we organized around the question: »Are we losing sight of the work of artists?« So it was somehow natural that, once we saw the developments of web art as an established space of activities for many artists, we decided to investigate this new practice. As a result of this we created Schlosspost as a virtual Akademie Schloss Solitude where all the activities around the web can be formalized. On another level, this brought us to give up terms like new media or computer art which became obsolete and to replace them with new categories like web-based media or time-based media. Schlosspost: How is the program »Web Residencies« designed, what is the concept about? JBJ: The virtual Akademie Schloss Solitude is made of three different components: Schlosspost – the online platform that presents the results of the artistic and theoretical work of its contributors who are coming from the Solitude network –, the new fellowships for web-based media, and the Web Residencies. With the Web Residencies, Schlosspost opened its doors to new talents from the digital scene. Different curators were invited for each call to define a topic and, as with the regular fellowships program, they were also independently in charge of the selection of the web residents. Next to digital artists, we invite artists of all disciplines to develop their web-based practice further and experiment with new technologies and art forms without the gravity of a full-on exhibition. The web residencies program is consciously open-designed and so should be shaped by the ideas, concepts, and methods of a scene that also operates beyond the mainstream art establishment. Schlosspost: Where do you see the connection between Schlosspost and the »real« Solitude residencies – concerning the way Solitude works, the network, and the art? JBJ: Schlosspost, even though working independently, grew out of the experience of Akademie Schloss Solitude, an international artist residency that works as a regional institution in a globalized context. The artists and scientists of the program are coming from all over the world (really! ), the topics of research are generally thought from a non Eurocentric perspective, and the jurors are coming from every continent, but, until we created Schlosspost, the results of the work were almost exclusively accessible to a limited local audience Stuttgart. As many artists of the Akademie and visitors used to say, we were »selling« the results of our work much under value. With Schlosspost, Akademie Schloss Solitude has a large visibility and can actively involve its worldwide network in the different projects and in the discussions around them. By doing so we also discovered the huge potential of the interactions between online and offline activities and the continuity between these two worlds that are much less separated one from the other than one could think. Schlosspost: Looking back now, after the first year of the »Web Residencies« program and since Schlosspost was launched, what is your résumé concerning this new adventure? JBJ: In the preparation phase we were somehow doubting about our capacity to feed regularly the future portal Schlosspost with content. The first wonderful discovery is the enormous output of the Solitude network that is daily offering contributions – all of them of the highest level! As an established artists residency, Akademie Schloss Solitude is used to hosting people from all disciplines and backgrounds, used to being challenged by unexpected questions, requests and suggestions. Somehow everything has been invented and experienced in the frame of the Akademie as a physical space. On this level of the work, there are no more surprises. But we would have never expected that the new challenges would come from people we would never meet, because they are part of the Solitude project from other parts of the world, as web residents. The questions put by the jurors and the answers proposed by the participants of this program were nice surprises, like for example Netro’s topic for the first call for web residencies »Decentralization of Internet Art«, followed by their excellent question: »Who wants to post stuff on the same platform as Donald Trump?« The great answers by the applicants were very diverse reaching from dark net raspberry pie galleries to SEO performances on the web often implicitly playing with the format of web residencies. Schlosspost: ZKM was founded as an institution dedicated to the artistic use of emerging technologies. How has it approached net-based practices so far? Peter Weibel: We’ve been addressing net-based practices through several different formats: exhibitions, publications, conferences, and – with our program AOYS (ArtOnYourScreen) – the commissioning of artworks. In 1999, we organized one of the first major exhibitions of net-based art. It was paradigmatic for our approach. Preparing the exhibition, I asked two questions: What were the social, economic, and technical conditions from which the Internet had emerged? Which social, economic, and aesthetic conditions are created by the Internet itself? The exhibition was therefore not called net.art, but given the ambiguous title net_condition. With this exhibition we sought to enquire if and in what respects net-based practices were differing from established forms of artistic theory, production, and distribution. We embraced the paradox of inviting to the museum artists and projects that resolutely rejected objecthood by creating works that existed nowhere but on a screen, anywhere, and at any time or were even clearly anti-institutional. How could a museum and why should a museum show artworks that are ›immaterial‹ and do not necessitate a museum visit in order to be experienced? Would the new technology help to put an end to the bottleneck of high culture, free artists from the dependency of editors, museum curators, and concert managers that define and enforce the criteria for what was to be made public and what wasn’t? As we disagreed on so many topics, the exhibition allowed for the artists, the public, and ourself to question and clarify our intentions, fears, and hopes concerning the so called digital realm. Schlosspost: In 2017, Solitude and ZKM organize the program »Web Residencies« together and will announce three calls with different topics that will be designed by invited curators. This new cooperation also seems to be a statement for the importance of this new format for the support of artists. In that sense: Why online residencies? JBJ: The Web Residencies are focusing on one hand on a (not so) new artistic practice, and on the other hand it takes into consideration all those who would never attend the physical residency program of Akademie Schloss Solitude because they are not interested in this kind of socialization or are afraid of being part of an artist colony. As mentioned above, Solitude tries not to lose sight of the practice of artists nowadays, and web art is a part of it. And I must finally add that with this Web Residency program Solitude is breaking the rules of artists residencies for whom the presence of the artists, a kind of »habeas corpus,« is considered as their »raison d’être«! I like the idea that Solitude does both, web residencies and physical residencies and that the people of the two programs are connected in the same mental space where they meet and exchange. 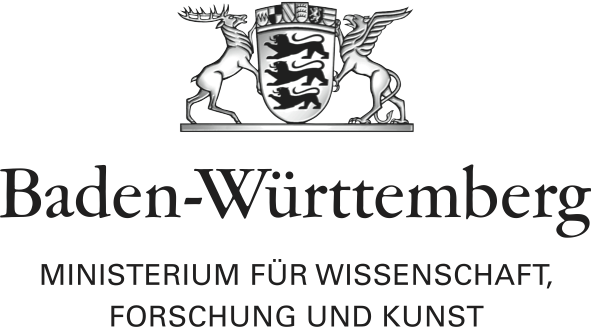 PW: With its artists-in-residency program, ZKM has a long positive experience in supporting artists in complex production processes, be it visual artists, musicians, or choreographers. However, to ask artists to stay for a month or longer at our institution excludes a large number of individuals, mainly those with hybrid professional profiles or younger artists and designers who still have to follow courses at university. As most web-based works can be produced without additional hardware, or the use of recording or rehearsing studios, a remote residency becomes a wonderful option. Schlosspost: Solitude as an artist residency – and »networkmachine« – and ZKM as a museum and place of artistic research merge their expertise and practices to work jointly on the development of the program. What is your particular knowledge and interest as an institution? JBJ: Solitude is well known as an institution that favors cooperation. This is not the first time that we’ve cooperated between ZKM and Solitude, we have worked together on many projects, among them, the common gallery we ran around the year 2000, and we have exchanged artists, collaborators and share regularly ideas and projects. So this cooperation is nothing new, just a wonderful opportunity to work together again: Solitude brings its worldwide network of young people and their experience with the web, we appreciate ZKM’s expertise on new technologies and theoretical knowledge on this question. PW: It seems to me that today’s era of web culture has much in common with the written culture of previous epistolary times. To a certain degree we are in an epistolary renaissance: just think of the massive amount of written messages in our daily professional life ranging from email to several digital communication forums, and instant-messaging-services. In former times, from fifteenth to nineteenth century, many scholars and philosophers communicated with each other on a regularly basis through letters. Both reporting about their own scientific progress and vice versa reading about the scientific findings of their peers was beneficial for their work. The educated class also sent letters for business or private matters. However, much to the contrary of those times, when letters were designed individually and exclusively to a single addressee, today’s letter practice is grounded on another concept of public readership. Today there is a tendency for each single individually generated message to be meant for a universal readership. A message is not so much addressed to one single individual only, but much more to a defined public or semi-public readership. In a way, it is not only CIA or NSA that are part of the audience but anybody else of the community or public is a potential reader as well (e.g. social networking platforms such as Facebook). This »structural transformation of the public sphere« (J. Habermas, 1962) in terms of web communication is exactly the subject of our explorations at ZKM. Together with the artists of the web residency program we aim at discovering and developing a new horizon of utilizing the web for individual communication purposes. Schlosspost: In what way does the program also push institutional boundaries? JBJ: In my opinion, the program will be new for many artists who will enjoy seeing Solitude and ZKM cooperating for this program, in this way the symbolic dimension of our cooperation is important, but I wouldn’t say that it pushes institutional boundaries. The radicalness of art and theory might push institutional boundaries, not a cooperation between official institutions like we are. But we hope for the radicalness of artists! PW: Everybody keeps repeating to talk about trans- and interdisciplinarity in order to increase knowledge and expertise and come to solutions otherwise out of sight. If we take this claim seriously, we need to develop trans-institutional projects that provide for all the different artists and researchers an ideal framework to support their work. Boundaries can be seen positively and do not necessarily need to be pushed, as they point to the wonderful differences between the partners. They do not hinder close cooperation, but make it desirable. With Solitude we’ve found the ideal partner. Both institutions – the ZKM and Solitude – keep reinventing themselves, reacting swiftly to changes in art and society. Schlosspost: What is your anticipation for the future of online residencies? What are your hopes and wishes? JBJ: Again, I can speak only from the perspective of Solitude as an artist residency, not about this question in general. Fifteen years ago other artists residencies where surprised when Solitude opened its program for scientists, humanists and economists. In the mean time every serious residency in the world took over this idea. At the moment they are all afraid about our new strategy of web residencies, but I am sure that in one or two years they will follow. As we know, new practices and media do not replace the older ones, they create new possibilities of remediation between them. This is exactly what we hope for. PW: Our hope is also to learn from the participating curators and residents not only on the level of their calls and entries. We do not want the web residencies to be a fixed showcase with ever changing objects. It will transform itself along with the hopes and wishes of the participants. Jean-Baptiste Joly has been the founding and artistic director of the artist resicence Akademie Schloss Solitude from January 1989 to March 2018. Born March 5, 1944 in Odessa. Lives in Karlsruhe/Germany and Vienna/Austria. Studies of literature, medicine, logics, philosophy and film in Paris and Vienna. Doctoral thesis on mathematical logic (modal logic). Polyartist, art- and media theoretician, exhibition curator. In a new cooperation, Akademie Schloss Solitude and ZKM Karlsruhe are merging their expertise and practices to work jointly on the development of the Web Residencies program.